I’m Mrs. Leckwee. I am the wife to Mr. Leckwee and mother to 6 leckwee girls. 4 of them attend Trinity and two are at KML. I love singing (especially with my girls) ,cooking, art, reading devotional material, spending time in the outdoors, performing in musicals,coaching, playing volleyball and dancing and teaching! I aspired to be a teacher ever since I can remember. While visiting my grandparents house as a child, I played “school“ with my cousins. I would always be the teacher, planning lessons and correcting papers. As I grew, so did my desire. After graduating from KML, I attending DR. Martin Luther college in New Ulm, MN. After my freshman year, I took a year off to get my degree in cosmetology. Knowing how to cut hair is quite a useful skill to have with 6 daughters! However, the experience left me with a renewed desire to go back to school and get my teaching degree. I immediately returned, MLC ( which had dropped the D). I graduated with a degree in elementary education. 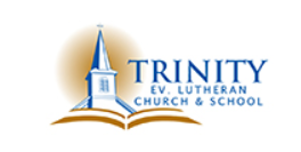 God lead me to Trinity after Mr. Leckwee took the call. Fun fact: In 2010, my forearm made 10 seconds of fame of the National FOX TV newscast about 4 years ago. They filmed me shaking Ron Johnson’s hand at a meet and greet.